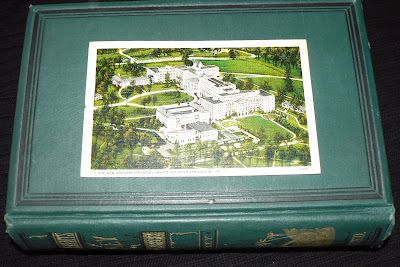 Postcard from The New Greenbrier Hotel, White Sulphur Springs, West Virginia. 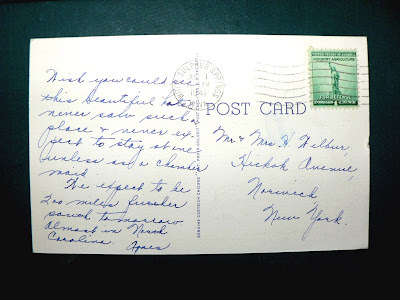 Postmarked Jul 1, 1941. Wish you could see this beautiful hotel, never saw such a place + never expected to stay at one unless as a chambermaid. We expect to be 200 miles further south tomorrow. Almost in North Carolina. I think that was the inspiration for the hotel in the Shining.